Breakfast. Shell fish ready to be cooked. Joseph is 17 and works like his father did on the sea as a fisherman. 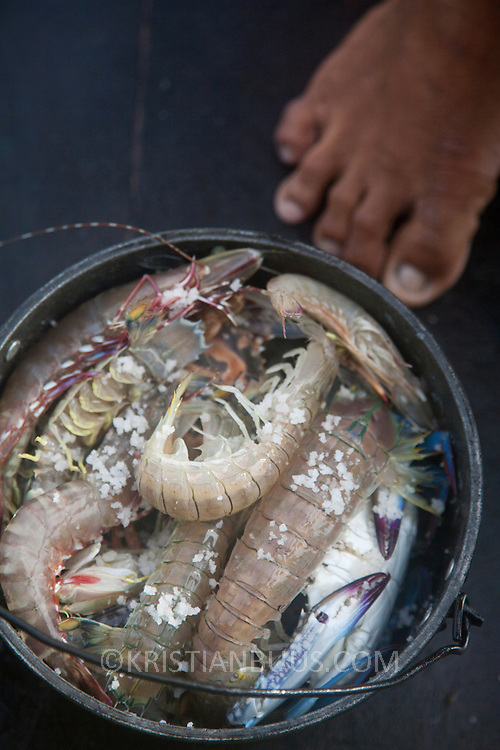 The catch of the day is hauled in by the entire crew to be sorted out on deck and taken straight to the market in Hinigaran. The catch that day made the crew $12.00 each( Captain Joan $24.00) One day a week Joseph goes to Alternative Learning schooling provided by Quidan-Kaisahan. Quidan-Kaisahan is a charity working in Negros Occidental in the Philippines. Their aim is to keep children out of work to secure them education. Gone fishing with Joseph in Negros Occidental.